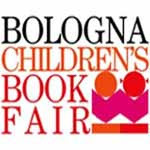 I love the Bologna Children's Book Fair! Why, you might wonder? In the end it's a fair where you make business, a place where you sell and buy book rights, where trade is fundamental for those who buy a booth, as in any other show in the rest of the world. Though, once a year, the exhibiting centre's grey walls change their DNA: their structure seems lighter and sinuous, its spaces seem bigger and nicer because - once a year - the fair becomes the beating heart of children's literature and the world tastes differently. Those who believe that this fair is just business are making a gross mistake, a glance to the programme will be enough to understand the work and passion that are necessary to put together all this. Beside business there are seminars, meetings, events, intellectual exchanges that could grant vital sap for the rest of the year. Of course you must be interested in all this if you wish to participate, maybe this is why it's not open to public. For sure this is not a place where you can bring kids for a break, somewhere you can go to make a ludic excursion: it's more for teachers, authors, illustrators, professionals of this field. Those who think of coming at the fair with their cheques ready and their wallet full of hope, will be carried away by a wave of art in perpetual changement, they will be projected in a renewed imaginary, they will win back old memories, sensations, forgotten flavours. Art, yes, in its higher peaks, I truly mean this. I'm talking to you sirs, you who look down at children's literature turning up your noble noses!! To those who believe that to illustrate a children's book it's enough to simplify shapes, to use basic colours, to make things look sweeter I just want to say one thing: open your eyes, that in this world there are artists that have nothing to fear if compared to those who believe to be representing real Art, to those who look down at the world from their ivory towers. These artists have a lot to say, because their gesture is free from mental bonds, their approach to the world is absolutely frank, ironic, also disenchanted at times, and bitter: a view where sickly has no space. Shall I give you an example? Well, take a look at Mattotti's version of Hänsel and Gretel... ain't this art? I'm talking to you who believe that writing a children's book is a trifle: well you should try to, why don't you? Only then, you will be able to tell me if taking off all the mental superstructures we get dressed with, in favour of simpler clothes without being banal, without using those honeyed and cloying words that bore kids much more than adults, has been so easy. Do try to keep young readers inconstant attention, there's a world out there that needs being discovered can you give them a good reason not to remove their gaze from your page? Those who ever read Bianca Pitzorno, Angela Nanetti, Roberto Piumini, Rebecca Stead, Timothée de Fombelle, only to mention a few, would know that there's nothing they should envy to writers such as Barricco, or Stefano Benni, or Ammaniti, or Stephen King (and here too the list would be much longer)... It could as well be true the other way around. Let me ask you something: why, on your opinion, many of the biggest writers of all times, at least once in their lives, have written a children’s book? And I'm not just thinking of Dickens, I'm talking of Moravia for instance, or Umberto Eco, or Elsa Morante, Jean Giono, Herman Hesse, Nazim Hikmet, Mordecai Richler, Eric Emmanuel Schmitt, and many others. After this animated praise, I believe you could better understand the winds of passion that animate the Bologna Book Fair and the peaks it can reach. Of course, close to the highest expressions of art there are the typical cheap products, the ones made to sell, not necessarily to elevate, despite this though culture is present and well represented and this is not unimportant, especially in this country that has been the land of literature and now risks to become once for all a dump of obviousness and ignorance, in the European country with the smallest average of books read in one year. I shall never get tired of repeating it: culture is freedom, let's fight for it! P.S. I have just received a newsletter from Orecchio Acerbo Publishing House, where I found this article titled: "I libri che stanno facendo tremare Geronimo Stilton"*, excellent new to end my post with! *"The books Geronimo Stilton is afraid of"
Anche quest'anno purtroppo me la perderò. Tuttavia, condivido al 100% le tue osservazioni appassionate: eccome se si tratta di arte! Solo qui in Italia gli illustratori sono considerati artisti di serie B. Vogliamo ricordare Roberto Innocenti??!! Per fortuna vi sono case editrici che fanno un bellissimo e meritevole lavoro, come l'ottima "L'orecchio acerbo" da te citata. Vado a leggere l'articolo! Peccato che tu non riesca a venire, ci sono tante bellissime cose da vedere e sentire. In quanto agli illustratori (e aggiungerei anche gli scrittori) quanto dici e' tristemente vero. Roberto Innocenti e' davvero un esempio emblematico in proposito, l'ho conosciuto personalmente qualche settimana addietro: oltre ad essere un artista incredibile, e' anche un uomo veramente garbato e intelligente. Come tanti, scoperto all'estero ed arrivato in Italia soltanto dopo i primi successi. Buona lettura e grazie ancora. I'm just catching up with your blog and I love this cri du coeur, this call to arms. Thank you! And I appreciate this for letting us glimpse a little bit of Bologna through your eyes. I'd love to be there and get swept up in the energy.